It’s been an amazing Monday here at Camp Merri-Mac. This morning started out like any other morning, with reveille waking the girls up to begin their chores and get them ready for another fun day at camp. Not too long after waking up it was time for breakfast and the girls were ready to eat. Today we had eggs, biscuits with gravy, an array of cereal, a yogurt bar, and health options for the girls to devour. Once the girls were stuffed and satisfied singing commenced as it always does near the end of a meal. We soon made our way up to chapel where the girls were able worship and hear a true story. Today Adam Boyd spoke in chapel and was able to share a true story about two brothers. This true story touched on the fact that Jesus gave his life for us so that we could live our lives with him. We want Him to be in every part of our lives, and He wants to walk with us. Chapel flew by and it was soon time for first period. All around camp girls were enjoying rides on the horses, walking the puppies around camp, learning how to wet exit in kayaking, and learning how to properly serve in volleyball. Second period commenced, and there was tree climbing, girls working on pottery, crafting, and skits. As always, in every activity the girls had a smile on their face that stretched ear to ear, it is obvious that they love their activities and that they are learning so much. Time flies when you’re having fun, and it was soon time for lunch. Today for lunch we had cheese quesadillas, nachos and salsa, guacamole, grapes, a salad bar, and health options. Once lunch was over the tribes showed the new songs they created a few days ago during song fest. Each tribe performs their songs and one gets picked to be the best song that the campers came up with. This is a great way for the girls to show their tribe spirit and use their creativity. After all the songs were sung, it was rest time. Today during rest time there was much more happening than just resting and writing letters home. Many of the girls gathered in the Mike to rehearse skits, dances, and songs for the upcoming evening activity, Fine Arts Night. Fine Arts Night is a really fun night for the campers to show their artistic skills and their talents. After rest time, it was free time and all the girls (quickly) made their way to trading post to get their snacks and hang out with friends. 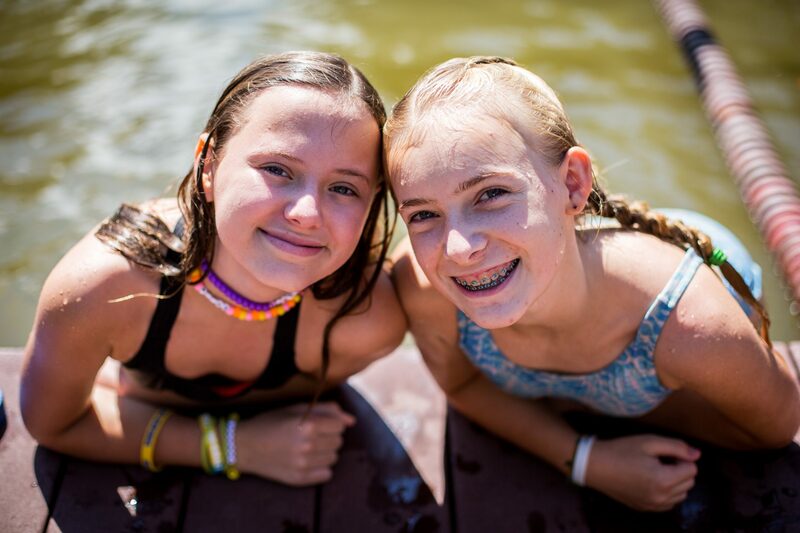 Many girls played tetherball, competed in camper led tournaments, and relaxed on the Tweedle cabin’s porch. It was soon time for third and fourth period and all the girls were excited to start their next activities. A delicious dinner of chicken alfredo and vegetables was quickly approaching and the girls were all getting ready to perform for the whole camp tonight. Break a leg ladies! Sunday’s are the bestWhat About Next Summer?